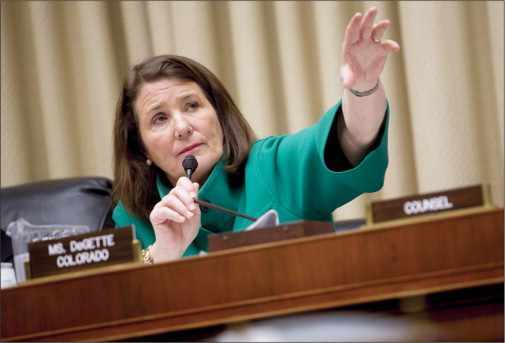 “An ambitious bipartisan plan to accelerate medical innovation in the U.S. is moving ahead in a Congress famous for political gridlock,” writes The Lancet's Washington correspondent Susan Jaffe. After a 12-year slide in federal funding for basic medical research, the Energy and Commerce Committee of the House of Representatives decided to take on that challenge by launching an initiative called 21st Century Cures. Fred Upton, a Republican from Michigan, and Diana DeGette, a Democrat from Colorado, co-authored the legislation. In May, the “21st Century Cures Act” was passed unanimously by the committee, 51-0, and now goes before the full legislature. From the committee and from all who have testified before Congress, the message has been the same: our current framework for discovering, developing, and delivering safe and effective medicines and medical devices to patients is too slow, too expensive, and too cumbersome. No one is thrilled with the way new treatments, new drugs and new medical devices reach the patient in the United States — not members of the medical community like Mayo Clinic, not the National Institutes of Health (NIH), not physicians, not pharmaceutical companies, not regulators at the U.S. Food and Drug Administration (FDA), and certainly not patients desperately in need of new therapies. The process is hugely expensive and incredibly slow. According to the Tuft's Center for the Study of Drug Development, the average cost of bringing a new prescription drug from lab to market now tops $2.5 billion and takes more than 10 years. The new legislation seeks to change this and covers three broad areas: discovery, development, and delivery. The NIH, the world’s largest funder of biomedical research, stands to benefit, as the act would direct an addition $10 billion dollars to the funding agency over the next five years. That would enable the NIH to accelerate research into more personalized approaches to treating cancers and genetic disorders. NIH Director Francis Collins, M.D., Ph.D., believes this legislation is a good way to get the “NIH back on track. Here is a link to the U.S. Energy and Commerce Committee’s “21st Century Cures: What You Need to Know,” which includes links to the full text of HR 6, the 21st Century Cures Act, and other important information. If you, like us at the Center for Individualized Medicine, believe it’s time to properly fund biomedical research, please let your voice be heard. U.S. 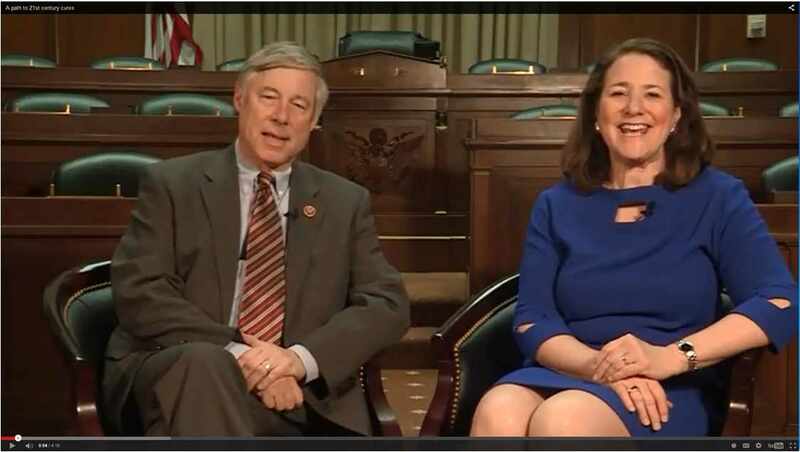 Representatives Fred Upton (R-Mich.) and Diana DeGette (D-Colo.) discuss the 21st Century Cures Act.